Earle Swensen’s is an extension of Swensen’s, its sister restaurant that is very popular in Singapore. Earle Swensen’s differentiates itself from Swensen’s with the focus on serving premium seafood and meats that shine through charbroil preparation at good value. Diners visiting Earle Swensen’s can enjoy its signature salad buffet bar that is complimentary with any main course order. The salad buffet bar consists of 25 to 30 different selections of crisp mixed greens, a wide variety of seasonal fruits and ingredients, and homemade salad dressings at any one time. Earle Swensen’s has launched exciting new dishes from September 2018 like grilled rack of lamb, expertly pan-fried cod fish fillet, classic chicken dishes and exciting new desserts that diners can look forward to. 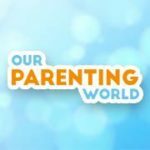 Our Parenting World – OPW Media team is delighted to highlight some of the new dishes that we had tried at Earle Swensen’s. If you are a seafood and fish lover, you have to try this East-West fusion dish featuring fresh and delicious silky smooth cod fish that has been pan-fried to perfection and served on a bed of rich, creamy risotto, natural umami flavours of shimeji mushrooms and homemade red capsicum sauce. Cod fish is a healthy food that is rich in omega-3, omega-6 fatty acids, vitamins and minerals that is good for your brains and body. This Australian Rack of Lamb is so divine, the meat has been seasoned with tempting blends of herbs and spices. The meat is soft and tender that falls off from the bone easily. This flavourful meat dish is accompanied by crisp vegetables, mashed potato and creamy ranch sauce laced with refreshing notes of mint. After a hearty main course, it is time for desserts. Earle Swensen’s has a selection of sweet new creations. We tried out Donut Castles and Tapioca Patties. The Donut Castles is sweet and savoury that is served with 2 types of ice cream, Wild Strawberry and Chocolate gelato sandwiched between two fluffy donuts with luscious strawberry topping and crunchy potato crisps. This is a warm dessert with golden brown and crunchy sweet tapioca patties and an elegant, jade-green scoop of Pistachio gelato that we love. 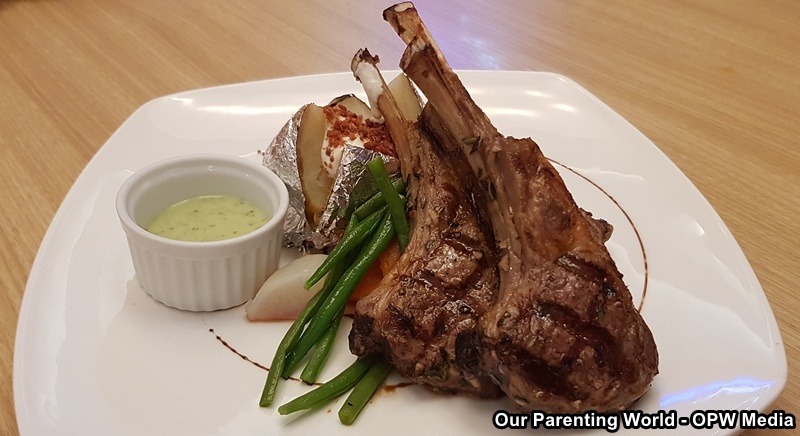 While the adults are enjoying their meals, kids can indulge in Earle Swensen’s new kid’s menu from 1 October 2018 onwards. Kids will be in for a treat with top of favourites such as Spaghetti Twirlies, Chick ‘n’ Fries, Fish ‘n’ Chippies and Cheesy Omelette, the restaurant now offers Pas-Ta Sausage Please? – a delicious cream-based mushroom pasta, topped with a grilled sausage; and the Dino Egg Sandwich – featuring home-made egg mayo between toasty ciabatta buns, served with a side of fries. The new mains can be enjoyed with a Kid’s Meal ($11.50), which includes Earle Swensen’s signature All-You-Can Eat Salad Buffet and choice of drinks! Not forgetting dessert, Earle Swensen’s Coit Tower Junior, Mr Big Smile and Volcano sundaes are also available at just $4.90 – ice cream lovers will be pleased! In addition, Chinese New Year is around the corner, Swensen’s is pleased to present a returning favourite, Fortune 18 Yusheng, and the NEW celebratory ice cream cake, Tong Tong Qiang! Usher in an abundant year with Swensen’s Fortune 18 Yu Sheng this is an auspicious platter of 18 ingredients including fresh greens and pomelo bits, preserved white and brown melon, shimeji mushrooms, crunchy golden crackers, crispy wanton skin, smoked salmon slivers and a refreshing zesty plum sauce! 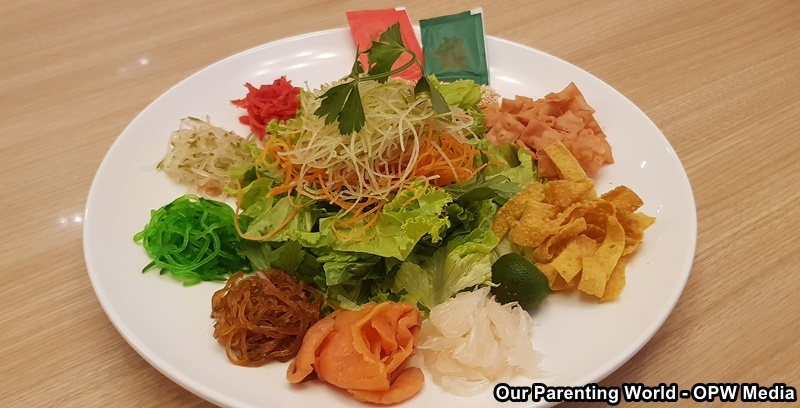 This delightful and colourful Yusheng is available from 15 January to 19 February 2019 at $23.90 for dine-in that is good for 2 – 4 persons and for $36.90 for takeaway that is good for 4 – 6 persons. This Halal-certified rendition is also perfect for company luncheons, where dietary restrictions may come into play. Crowning the Neopolitan-flavoured ice cream cake is an impressive ‘lion head’ made with fondant, that is flanked on its sides with adorable mini fondant ‘oranges’ and a chocolate banner bearing auspicious greetings – there is no better way to welcome the brand new year! 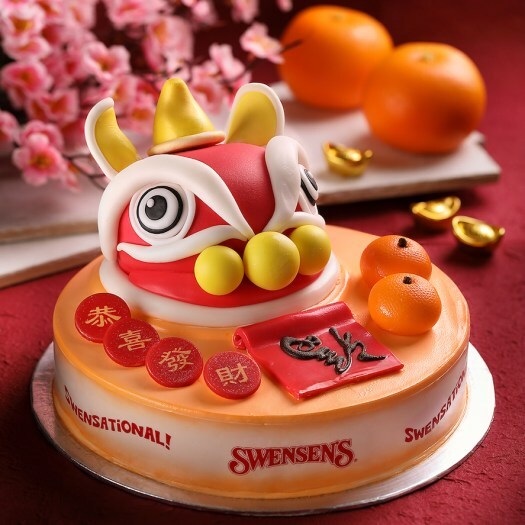 Available in limited quantities of 88 cakes is Swensen’s NEW Lunar New Year ice cream cake, Tong Tong Qiang. Echoing the celebratory drums and cymbals of lion dances, Tong Tong Qiang is set to ring in the festivities with great fanfare! Tong Tong Qiang is available from 15 January to 19 February 2019 $68.80 for dine-in and takeaway at 1kg and recommended for 10 to 12 persons. 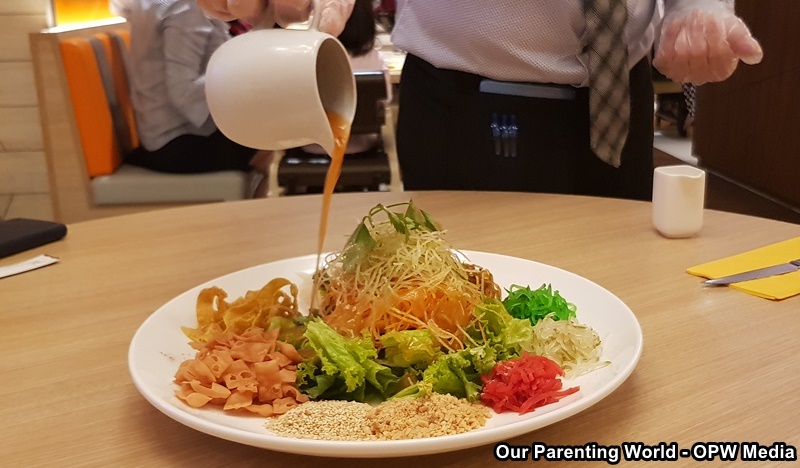 Fortune 18 Yusheng (from $23.90) and Tong Tong Qiang ($68.80) will be available from 15 January to 19 February 2019, while stocks last. Both items may be purchased for dine-in or takeaway at any Swensen’s or Earle Swensen’s outlets islandwide or online at www.swensens.com.sg.